you might be used to. WORTH IT. Thanksgiving is a lot like pancakes for me. At first, I'm all excited. "Oh! Delicious seasonal food and/or pancakes! What a rare and delicious treat!" 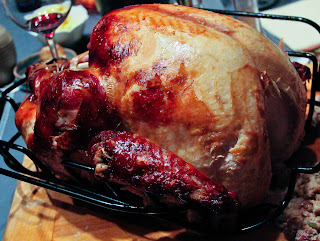 Soon after, I'm cursing the food gods for my food-crimes, and swearing off all things Thanksgiving/pancake. If I ever see another turkey again, I will surely die (That is, before next year when I forget all of the lessons that I learned this year like a cast member of a sitcom). On the upshot, I got to spend Thanksgiving at home this year for the first time since I moved to California. My mom is an awesome cook, and that means I get to be in charge of the green been casserole and the sweet potatoes... and that's all. I'm home in Green Bay, Wisconsin until next Wednesday. This Monday, November 28 at 9:00 AM, I'm going to appear on Living with Amy on WLUK channel 11 (if you're in the area). I'm making Chipotle Sweet Potatoes and French Onion Soup. French Onion Soup was the ONE thing I said specifically on this blog that I never wanted to make on TV, because chopping onions turns me into a quivering pile of goo. It's possible that someone I went to high school with is on the production team. It should be pretty entertaining to watch. The next few days should be full of some delicious regional noms which I'm cut off from most of the year. For instance, I (finally!!) 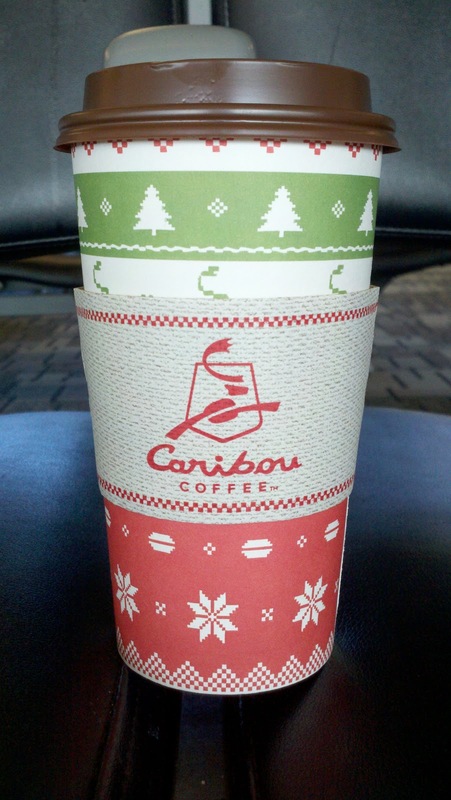 made it back to Caribou Coffee in the Minneapolis airport, which filled my heart with joy. I hate that California doesn't have this chain. I love Caribou from it's sweet mascot to it's knitted sweater-design cups to the fact that it isn't Starbucks. They still care about how they treat their coffee. Do you see the brown lids?! It's all in the details. Le sigh (Coffee nerd). Adverts: Made from real want. 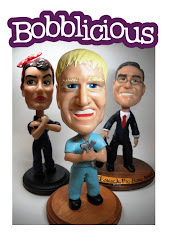 Everyone needs a personalized bobble head. My name is Lindsay. I like to write things. ©CurriedCabbage 2012. I'm too lame to code, so i used the. Powered by Blogger.